The following deaths of African-Americans and Latinos by white officers are controversial and reflect what the NAACP considers a racist pattern of behavior by Austin city police. Because of this pattern of police violence, the Austin Branch NAACP has filed two complaints (2004 and 2012) with the United States Department of Justice (DOJ), invoking Title VI of the Civil Rights Act. Read more about the complaints here. Sophia King Jesse Lee Owens, Jr.
June 11, 2002: Officer John Coffey fatally shot Sophia King. King, who had a history of mental illness, was shot by Officer Coffey after attacking her apartment manager with a knife. Coffey was cleared of any wrongdoing. The death of Sophia King brought community leaders together to discuss ways to improve Austin’s awareness of mental illness with the formation of the Mayor’s Mental Health Task Force Monitoring Committee. June 14, 2003: Officer Scott Glasgow, a three-year veteran, killed Jessie Lee Owens with five shots from his .40-caliber pistol after Owens dragged him with his car. Glasgow was indicted for criminally negligent homicide by a Travis County grand jury, which later issued a report decrying the "different brand of law enforcement" members had seen applied in East Austin. The indictment was later dropped and Officer Glasgow received a 90-day suspension from the Austin Police Department. After the indictment was dropped, the Austin Branch NAACP called for the resignation of Travis County District Attorney Ronnie Earle. June 3, 2007: Kevin Brown was shot twice by Sergeant Michael Olsen. Olsen said he thought Brown was reaching for a gun. Olsen was fired after the shooting. May 11, 2009: Officer Leonardo Quintana shot Nathaniel Sanders while Sanders was sitting in the back seat of a parked car at an East Austin apartment complex. Quintana said that Sanders was struggling to grab a gun in his waistband when he chose to fire. Quintana was suspended from APD for 15 days, but was cleared of criminal charges. He was later fired after a domestic dispute. May 30, 2011: Officer Nathan Wagner fatally shot Byron Carter Junior. Officer Wagner and Officer Jeffery Rodriguez followed Carter and his teenaged friend because they thought they were acting suspicious. Officer Wagner fired at their car after they sped off, fatally killing Carter, who was in the passenger seat. The unidentified teen was charged with assault on a police officer because his car struck Rodriguez as it lunged away; however, a grand jury completed its review of the incident and declined to indict the teen. 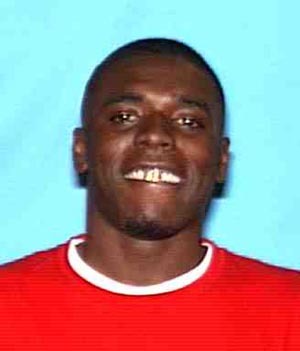 April 5, 2012: Ahmede Bradley was shot by Officer Eric Copeland after fleeing on foot from the officer after a minor traffic violation, and then engaging in a violent struggle with him. The Austin Chronicle noted that the issue at hand "is whether Copeland should have pursued Brad­ley after pulling him over for only a minor traffic violation." It continued: "The decision to pursue a fleeing suspect when no apparent exigent circumstances were present was among the issues raised in the 2007 shooting of Kevin Brown." July 26, 2013: In the course of a Central Austin bank robbery investigation, Larry Eugene Jackson Jr. attracted the suspicion of Detective Charles Kleinert who tried to question Jackson, who then ran off. Kleinert caught up to Jackson and after a short struggle shot and killed him. After days of angry protests, APD broke its silence and revealed that Jackson had nothing to do with the bank robbery, was unarmed, and was shot in the back of the neck. Kleinert was indicted in the shooting by a grand jury. February 8 2016: David Joseph, a Connally High School senior and son of an immigrant mother from Haiti, was naked and unarmed when he was fatally shot by officer Geoffrey Freeman. The Austin Police Department fired Freeman, 41, in response to the shooting for violating its excessive force policies.